Aston Martins are an easy target for beautiful motoring, especially the early ones. 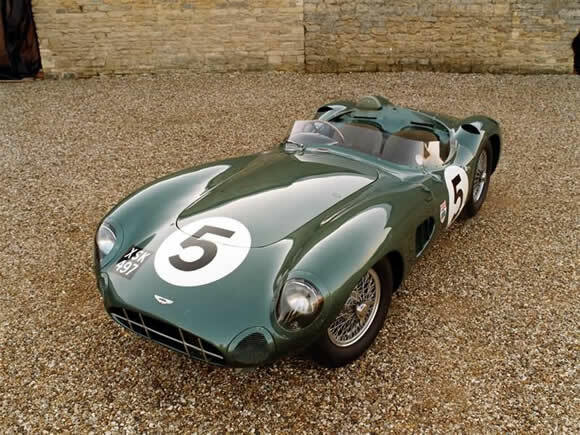 The 1959 Aston Martin DBR1 was built for the 1959 World Sportscar Championship. It was fairly successful, it won that year, but it great looks have lasted well beyond its racing successes. It would have been interesting to see where David Brown would have gone with this line but he headed to Formula One which ended the factories involvement and the DBR1's were sold off. To see these beautiful cars in action head out to historic events like the Silverstone Classic. Send me some pics if you do. I have been told there is a guy in NZ who has driven this car. Can't wait to have a beer with him. What a great story that will be.